The Cupertino Neighborhood Events program is set to conclude by the end of September. 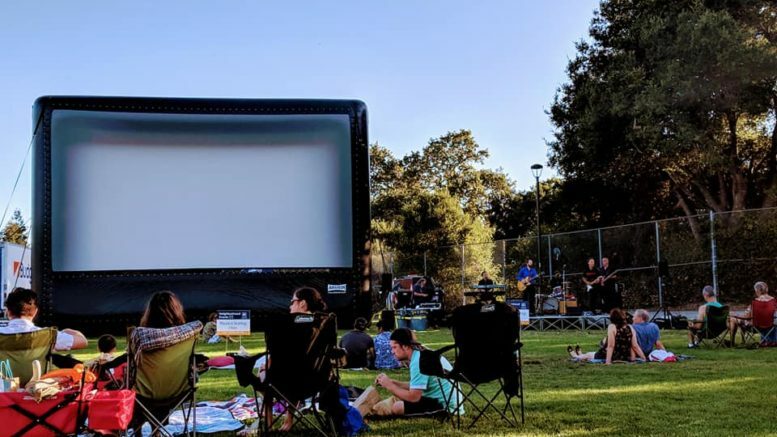 The culturally-diverse summer events program, “Cupertino Neighborhood Events,” will conclude at the end of this month, but residents still have four more free events to check out. There will be a Latino festival on Sept. 14 from 5:30 p.m. to 9 p.m. at Creekside Park with live music from Pellejo Seco, a food truck from Los Jarochos Grill and a screening of the film The Book of Life. Following the Latino festival, there will be three more Neighborhood Events to wrap up the summer. On Sept. 19, there will be a live performance from the band Busta Groove, and a Sam’s Chowder House food truck at Portal Park from 5 p.m. to 7 p.m.
On Sept. 22, the Joy Drops will perform at City Center Amphitheater at 5 p.m., followed by a showing of Star Wars: The Force Awakens. The final event will take place on Sept. 29 at Jollyman Park, where The Summer Survivors will perform. The community can celebrate the end of summer with a food truck from Paddy Wagon Sliders and enjoy a showing of Star Wars: The Last Jedi. For more information about each of the Cupertino Neighborhood Events, click here. All are welcome to attend the events, free of charge. Be the first to comment on "Cupertino Neighborhood Events program wrapping up"